Thinking about taking your life on the road but not sure where to start your search for a travel trailer that is going to fit all of your wants and needs? If so then you need to come to your local Airstream dealer in Wisconsin and see one of the many new and used Airstream trailers for sale. Here at Ewald’s Airstream of Wisconsin, we have everything from an Airstream Flying Cloud for sale, to Airstream International Signature for sale. Here at Ewald’s Airstream, we understand that when it comes to finding a large selection of new and used travel trailers for sale the process can seem never-ending. Which is why we have a team of people who are happy to answer any and all questions you may have about one of the many new and used cars for sale. Which is why we have a team of people who are happy to answer any and all questions you may have about one of the many new and used Airstream for sale here in Franklin, WI. That includes questions about the new Airstream International Signature for sale. This Airstream camper for sale comes with many features both inside and out that you will not want to miss. 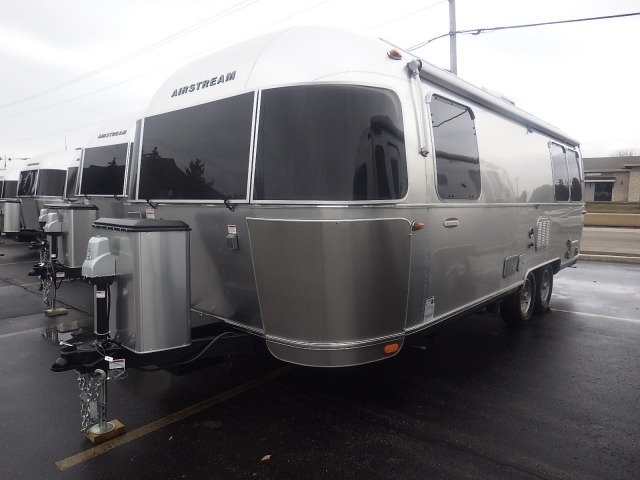 When you want to travel in style and take all of the comforts of home with you, you need an Airstream International Signature for sale here in Franklin, WI. When you first step foot into this Airstream travel trailer, you will be greeted with light colored fabrics and warm wood tones, making this Airstream for sale feel just like home. 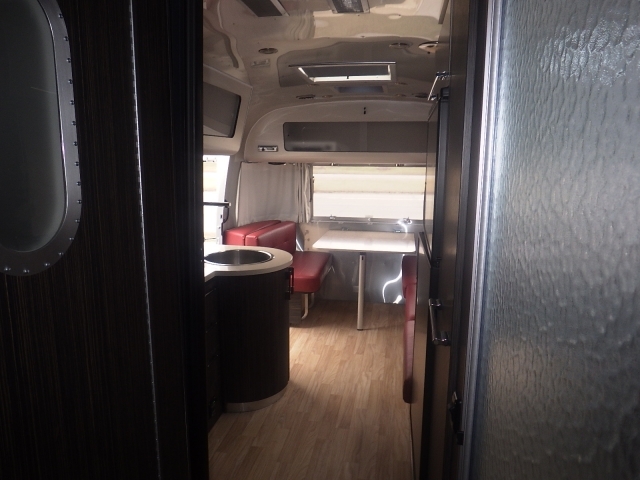 This Airstream camper for sale also comes with a galley style kitchen which is ideal for preparing and serving all of your favorite meals. Do not let the size of this Airstream for sale fool you. This Airstream is full of hidden storage features so that there is a place for everything and everything has a place, and there is a place for almost everything. Have total privacy with blackout curtains and a private sleeping area with a queen bed pillow top mattress. Never worry about running out of hot water with a continuous production water heater. The Airstream International Signature was created for everyone from a first-time trailer owner to enjoy, to a veteran trailer owner and with advanced safety technology and anti-sway technology even a beginner can confidently tow this Airstream travel trailer. Luxurious fabrics and thoughtfully concealed storage, coupled with vibrant modern colors, make this a genuinely Signature experience. The International Signature – it’s highway couture. When you need a quality Airstream trailer for sale, such as the International Signature, you can count on Ewald’s Airstream Of Wisconsin. Come and see just how impressive an Airstream trailer for sale is and schedule a walk through or one of the many remarkable Airstream trailers for sale here at Ewald’s Airstream of Wisconsin. Ewald’s Airstream of Wisconsin is located at 6319 S 108th ST in Franklin, WI 53132.